Buying a car is a very important decision. You have to take into account various factors like comfort, features, stability and reliability. Have you ever thought about these elements? All of these and especially the last one on in particular are extremely important when it comes to choosing the right car for you and your family. Breakdowns are never easy to handle and the guys at the AA know that for sure. What are the most frequent causes of breakdown? Some of the most popular causes of breakdown are: faulty battery, lost keys, flat/damaged tires and wheels, starter motors, alternator faults, fuel problems or clutch cables. All these elements contribute to leaving you poorly equipped especially when you are in a big rush. 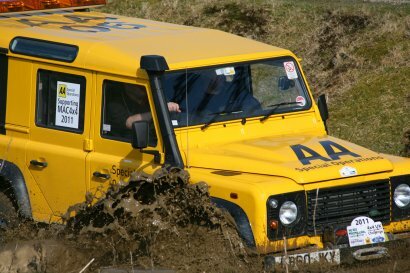 Fortunately, with the AA’s breakdown cover you will not have to worry about that. Their range of services is very generous and accessible to all the drivers in need. What are the worst cars to breakdown in? Is there such thing as the worst cars to breakdown in? Sadly, yes! According to various studies and expert opinions, the worst cars to breakdown in are BMW 3 Series Convertible, Land Rover Discovery 3, BMW 5 Series Touring, Volvo XC90 and Citroën C4 Grand Picasso. On the other hand, the cars that are likely to be off the road least are Honda Jazz, Toyota Avensis, Suzuki Swift, Kia Picanto, Peugeot 107. Thus, as you can see, it is important to know what to look for in a car when wanting to do a new purchase. Either way, make sure you get breakdown cover from the AA to avoid the dreadful experience that is breaking down in a Dacia Duster, for example. No one understands better than the AA what it means to be in a major rush and not be able to reach your destination because your car broke down. So why waste your time searching for people to understand your problem when AA is right beside you? Previous page Previous post: Should You Borrow Funds for Your Next Car Purchase?